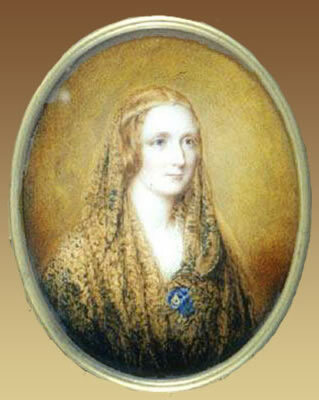 Of all the classic authors, she's the one I'd most like to have known. 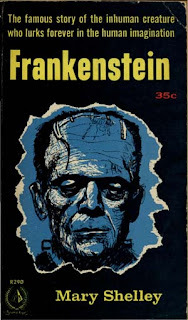 At the age of six I was hooked by the Frankenstein films starring Boris Karloff, and when I first read her novel, while in my early teens, I was changed forever. So, thank you, Mary. If it wasn't for you, I'd be doing something very different, and a lot less interesting, with my life. 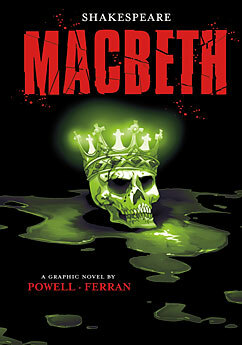 I just learned that my graphic novel of Shakespeare's Macbeth is available! Haven't received my copies yet, but I absolutely loved working on this. It's illustrated by F. Daniel and published by Stone Arch Books. This was one of the most challenging books I've ever written, and I nervously hope I did the Bard justice. 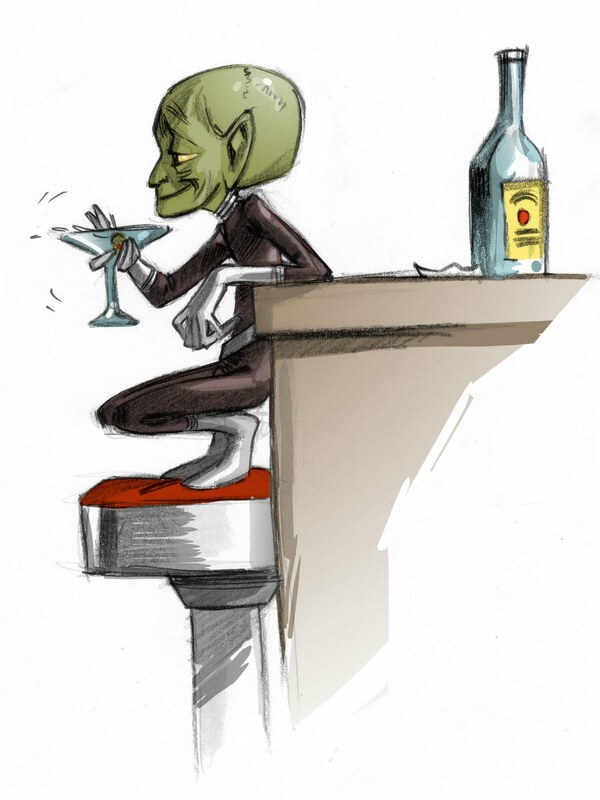 Suddenly, without warning, one billion Little Green Men are everywhere. They're on your street, in your house, and all of them know your deepest and darkest secrets. 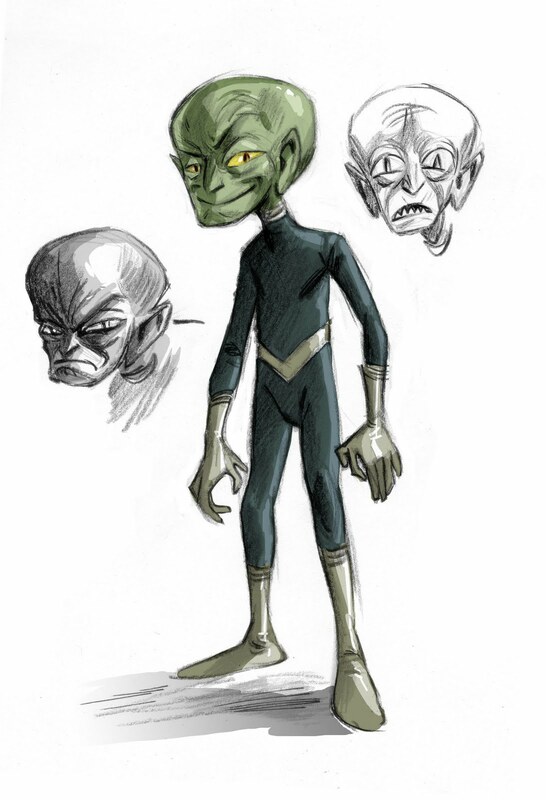 Untouchable as ghosts and obnoxious as hell, their sinister agenda remains a mystery. Perhaps, their plan is simply to drive the entire human race insane, for that is exactly what they’re doing. All is lost. 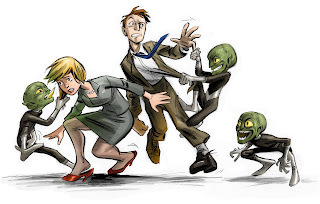 Only our unlikely hero Luke Devereaux, a burnt-out science fiction writer with nothing left to lose, knows how to defeat the Martians…but he has already lost his mind! MTV Geek has interviewed Sequential Pulp Comics President Michael Hudson and Dark Horse Editor Patrick Thorpe. They even talked to me, too, and I'm not even one of the cool people. A dream project, with a dream artist. So strange. It's happened again. My little group of weirdos is telling me what they want to do on the page, instead of the other way around. Just as I was confidently finishing up one of the last chapters, they detoured me again in another direction, utterly surprising we with something better and more exciting. It's sort of spooky and very fun...but that's what they're all about! I've known them most of my life, but so far they've lived only inside my head. It's as if they are well aware of finally being born and are very much taking over the story. I feel like an observer, watching and reporting from the sidelines as The Halloween Legion work their magic before my own astonished eyes. It really is deliriously disconcerting, but also delightful. This is a very rare thing for me, but now I have no idea how this adventure is going to end! "I'm a lifelong writer/illustrator, I studied film at the Art Institute of Chicago and printmaking at the John Herron School of Art and Design, and I'm currently employed by Author House Publishing. I'm a collector of oddities, a science buff, and a family man." 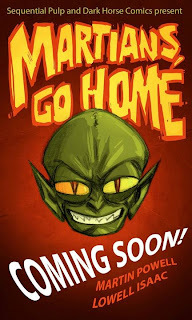 Martians, Go Home is written by me, based on the classic sci-fi dark comedy by Fredric Brown, and will be published by Sequential Pulp Comics/Dark Horse in 2012. You'll never think of Alien Invasion the same way ever again. 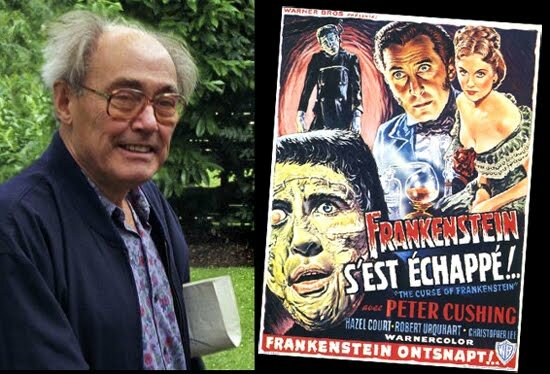 A very sad farewell to screenwriter and director Jimmy Sangster, who passed away yesterday at the age of 83. Mr. Sangster is best known for his very successful scripts for Hammer Studios. He was an amazing writer, and his movies inspired me tremendously. Among many other creepy classics, he also wrote The Horror of Dracula (1958), starring Peter Cushing and Sir Christopher Lee, directed by Terrence Fisher. I consider that production to be the greatest Dracula film ever made, and seeing it for the first time at the age of eleven was a life changing experience for me. I wouldn't be the writer I am today without the influence of this remarkable man, who could take classic material and transform it into something fresh, new, and exciting. 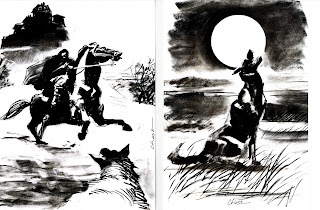 There would certainly be no Scarlet in Gaslight without the inspiration of Jimmy Sangster. Getting Ready for Their Creepy Close-ups! 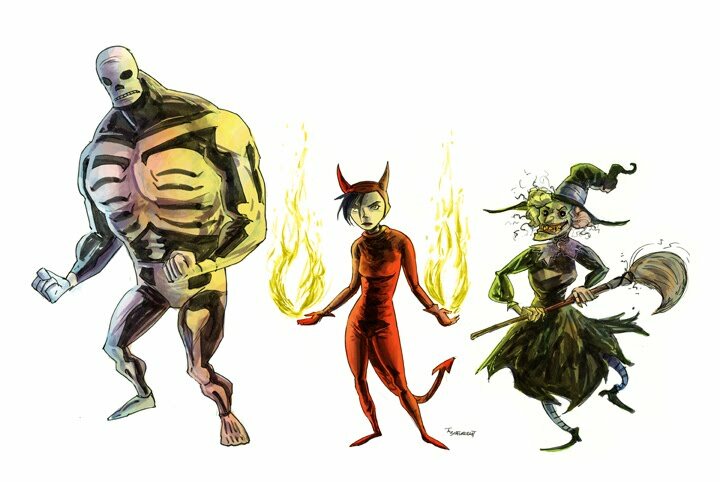 Here are three of my little group of five weirdos by awesome artist Thomas Boatwright, all ready for their graphic novel debut next year! And don't forget the World's Weirdest Heroes' first prose novella is coming soon from Wild Cat Books, stylishly illustrated by Danny Kelly! 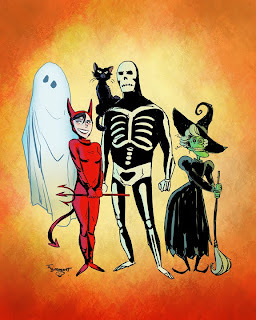 My band of creepy do-gooders are determined to be born before October 31st...even if it kills me...! 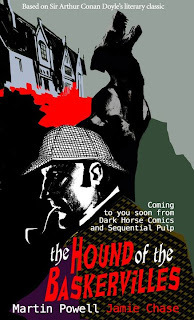 Sequential Pulp Comics and Dark Horse presents The Hound of the Baskervilles, a new graphic novel of the classic Sherlock Holmes mystery, illustrated by Jamie Chase and written by me. 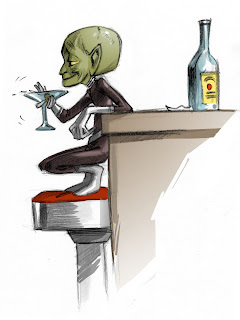 Wow...I'm being interviewed by MTV Geek today, for Sequential Pulp Comics, an imprint of Dark Horse. A bit nervous here. What if they discover that I'm actually not one of the cool people? A fan sent me this. Very fun and gratifying to see a Spanish Edition of my HOUND THE BASKERVILLES graphic novel, for younger readers. 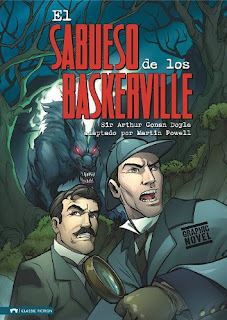 Hola de nuevo, os quiero comunicar que he encontrado una novela gráfica de la editorial uruguaya LatinBooks sobre EL SABUESO DE LOS BASKERVILLE. 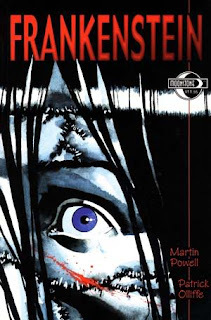 Desde 1986, Martin Powell ha sido un escritor freelance. Ha escrito cientos de historias, muchas de las cuales fueron publicadas por Disney, Marvel, Tekno Comix, Moonstone Books y otros. En el año 1989, Powll recibió una nominación para el premio Eisner por su novela grafica Scarlet in Gaslight (adaptación de Un estudio en escarlata). Este premio es uno de los más importantes dentro del género cómic. Daniel Pérez nació en Monterrey, México, en 1977. Durante más de una década trabajó para WZJL y como colorista e ilustrador para editoriales de cómics como Marvel, Image y Dark Horse. Actualmente trabaja para Protobunker Studio mientras también desarrolla su primera novela gráfica.